Supplied in a beautiful maple wooden box that contains 24 Derwent Procolour pencils that have the covering power of wax but glide like an oil. They are ideal for both amateurs and professional alike and are brilliant on coloured papers (including black). The wooden box lays flat on a desk for easy pencil selection, and is small enough to carry whilst out. 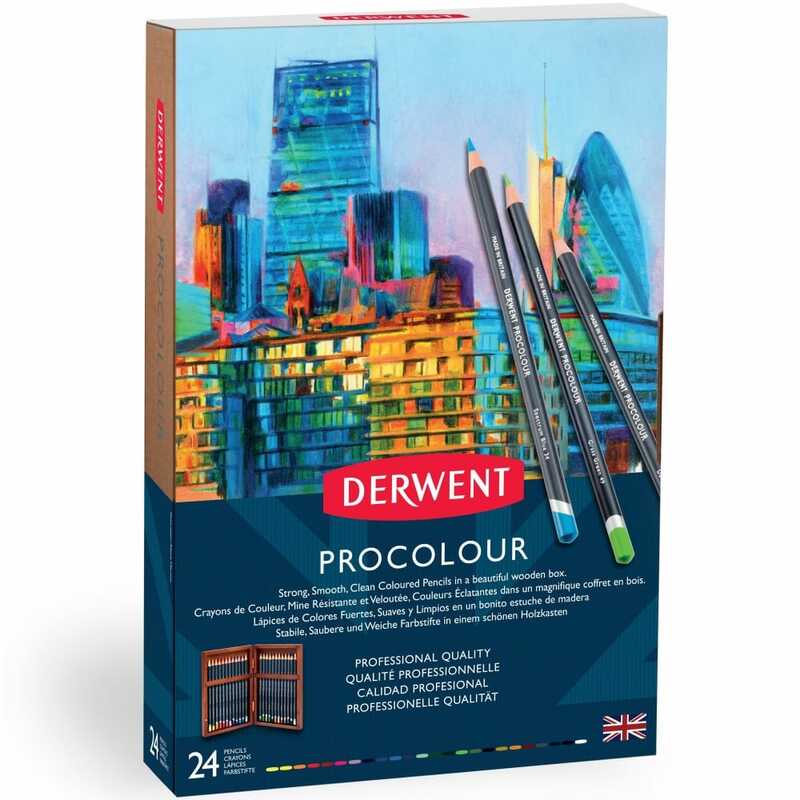 Derwent Procolour pencils are formulated to combine strength with a smooth laydown. Procolour maintains a sharp point for long periods, are richly pigmented and have a clean application that prevents dust and smudging. Replaced my very old set of coloured pencils with Procolour & am delighted with them - much easier to use - a good buy!